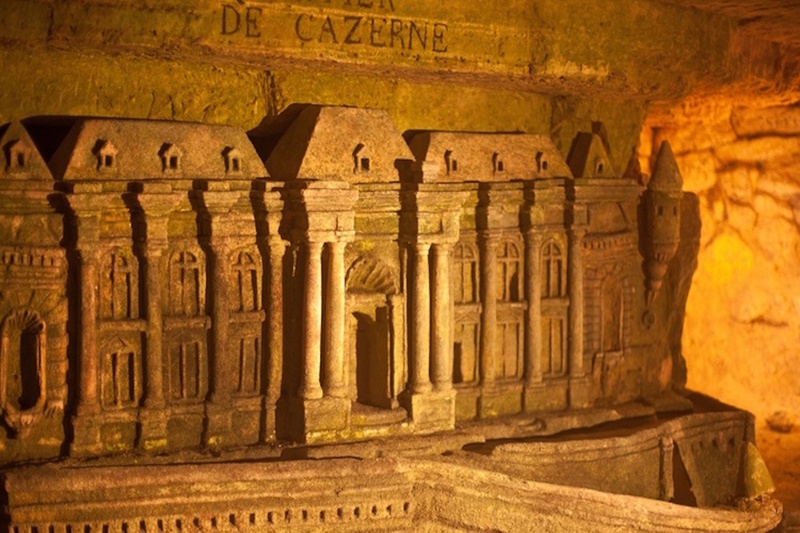 Under the picturesque city streets lies some of Paris’ darkest and most unusual curiosities, which are found in the ancient and chilling Catacombs. 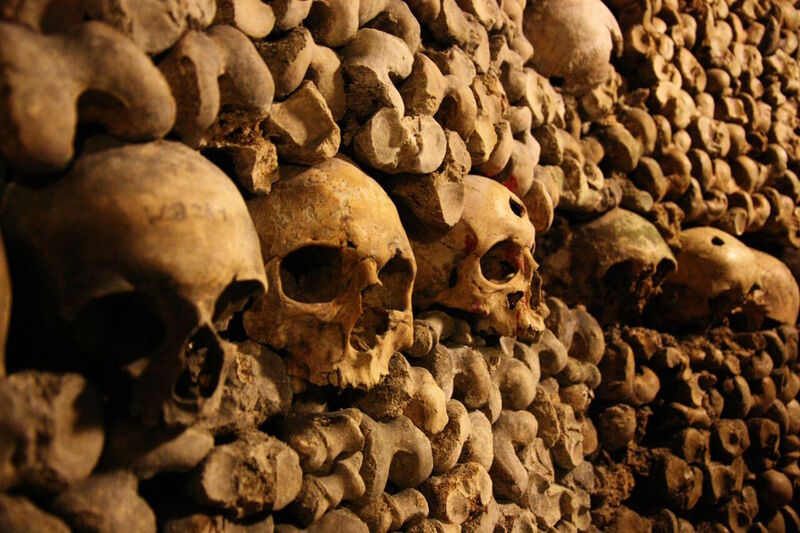 Lined with human skeletons – 6 million of them, in fact – these darkened corners and alleyways that are just below the surface offers a fascinating glimpse into Paris’ past. 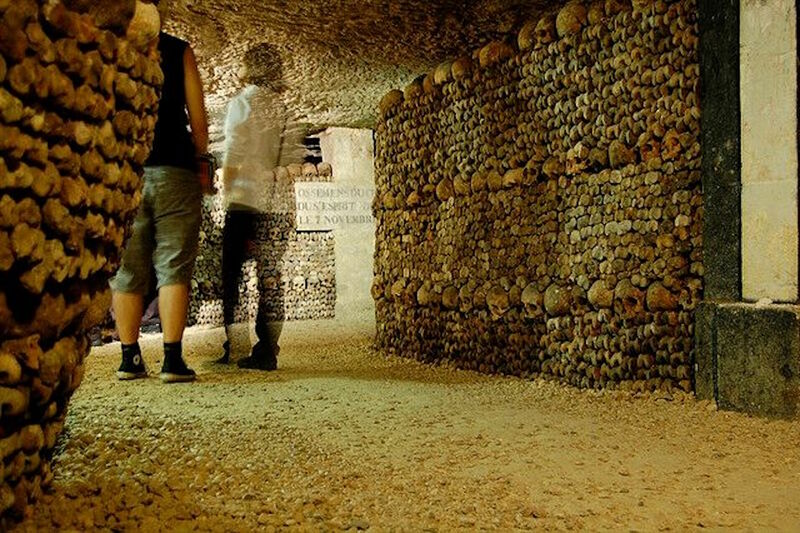 On this tour, you’ll skip the lengthy lines and go right into the heart of the Catacombs, with the help of a knowledgeable local expert guide who will share the stories and legends of how this unusual labyrinth came to be. An intriguing corner of the city that demands to be explored, this excursion will shed much welcome light on one of Paris’ most fascinating attractions. In addition, your specialist tour guide has exclusive entry into restricted areas closed to the general public, enabling you to learn additional bone-chilling tales of murder, massacre and a few well chosen ghost stories. This tour is not for the faint-hearted! To read more about this tour, read our Paris Perfect blog article here. 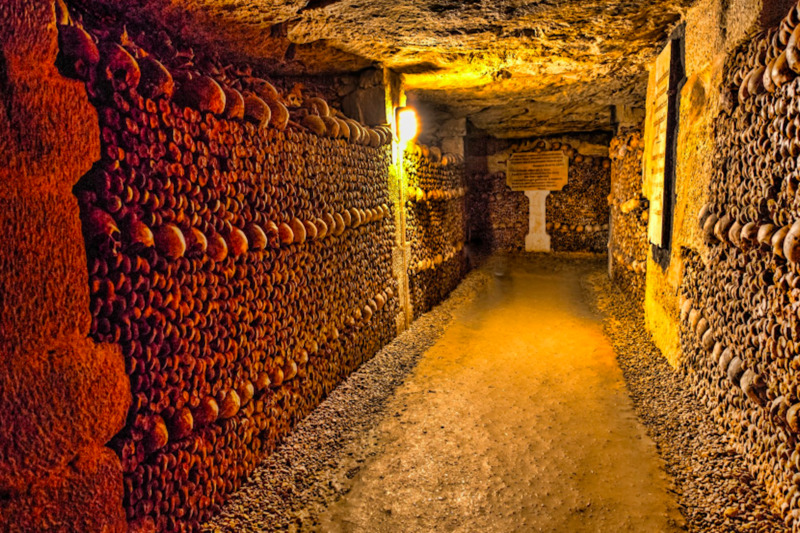 The Catacombs are kept at a constant temperature of 57°F (14°C), so please dress accordingly. Due to occasional uneven and moist terrain, we recommend comfortable shoes with good traction (no high heels and flip-flops). There is a steep and narrow winding staircase with 131 steps down and 83 steps back up to the surface at the entrance and the exit. We strongly discourage those with cardiac or respiratory problems from taking this tour, and do not recommend it for those suffering from claustrophobia or nervous conditions. Pregnant women and children under 8 are not permitted to enter the Catacombs. Please note that entrance is extremely limited, with only a small number of reservations allowed every month, hence the inevitable daily queues for tickets on the day. Days and departure times vary, according to availability. Refunds are available up to 72 hours before scheduled departure time. Official skip-the-line access and entrance tickets are included. Groups up to 19 people can be accommodated, private tours available on request. Walking distance: 2 km, 1.2 miles. 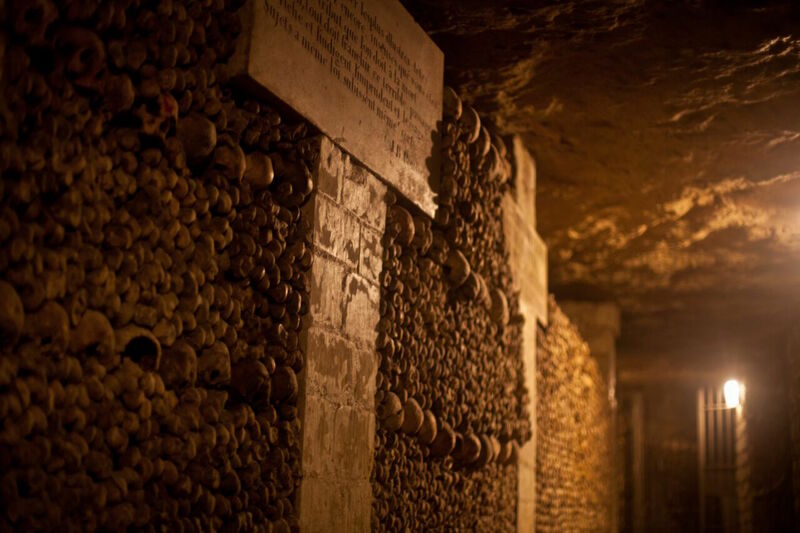 Catacombs of Paris Skip-the-Line Tour Paris' most unusual and mysterious secrets are buried deep underground, and this spine-tingling tour will take you into the depths of the Catacombs with the guidance of a local expert. I just wanted to tell you what a fabulous time we had on our Tours, the line at the Catacombs was a 4-hour wait, I cannot tell you how happy I was I had booked my tour! It was awesome and the guide was phenomenal. My pastry class was also amazing, thank you so much for all your help. I miss Paris already!